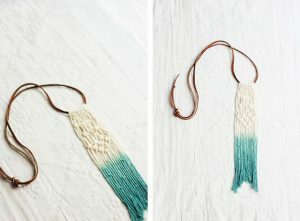 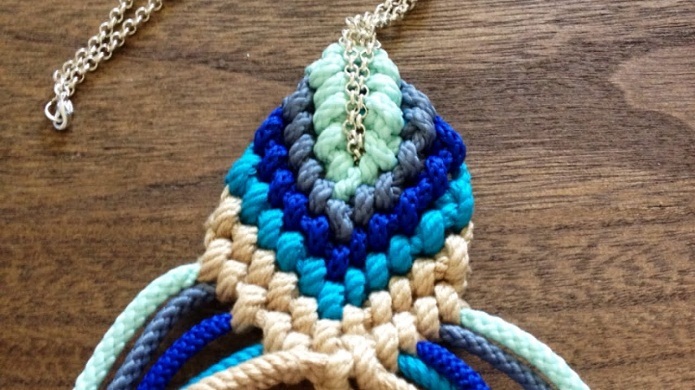 Macramé knotting seems to be a unique textile making technique attaining immense popularity over the time because of the elegance and sophistication it adds to the things made from it. 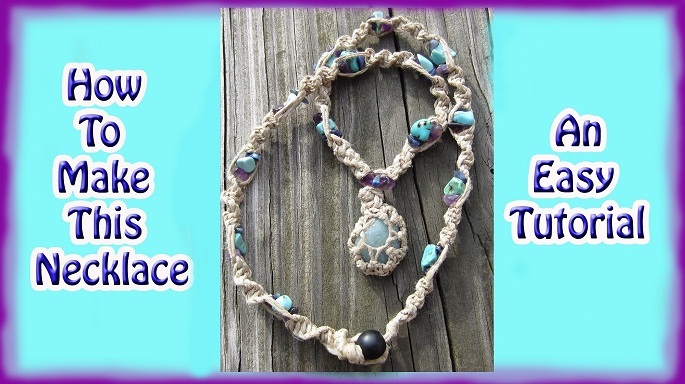 You can make a myriad of accessories and stuffs of day to day use with the help of this attractive knotting process. 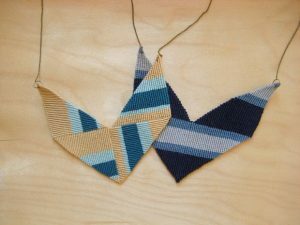 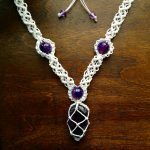 If you have an undying passion for necklace-making then attempt a few of them using this interesting method. 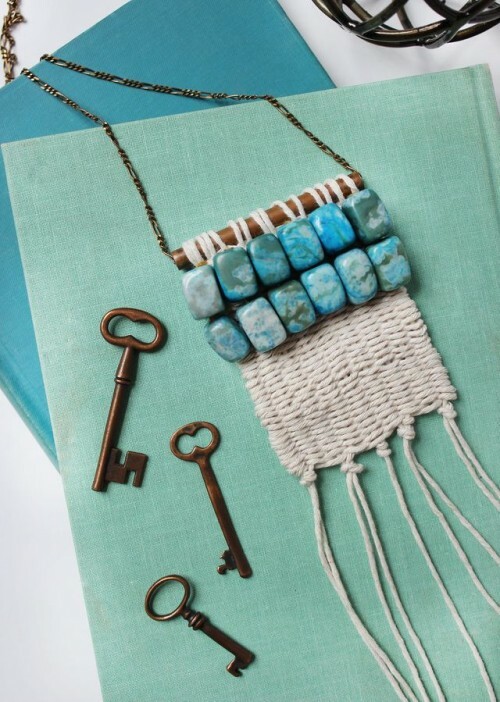 We would be more than glad to guide you with a host of DIYs for your convenience. 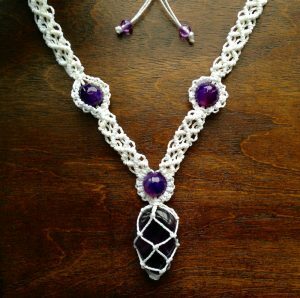 The stone pendant sitting in the middle gives this choker-styled necklace a gorgeous look. 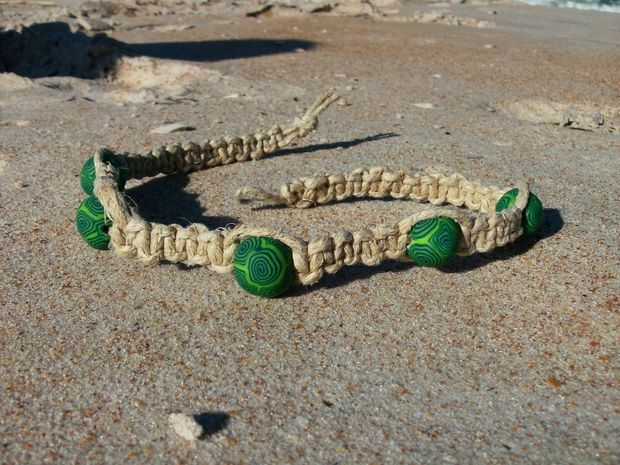 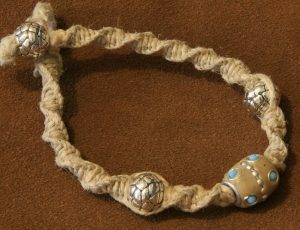 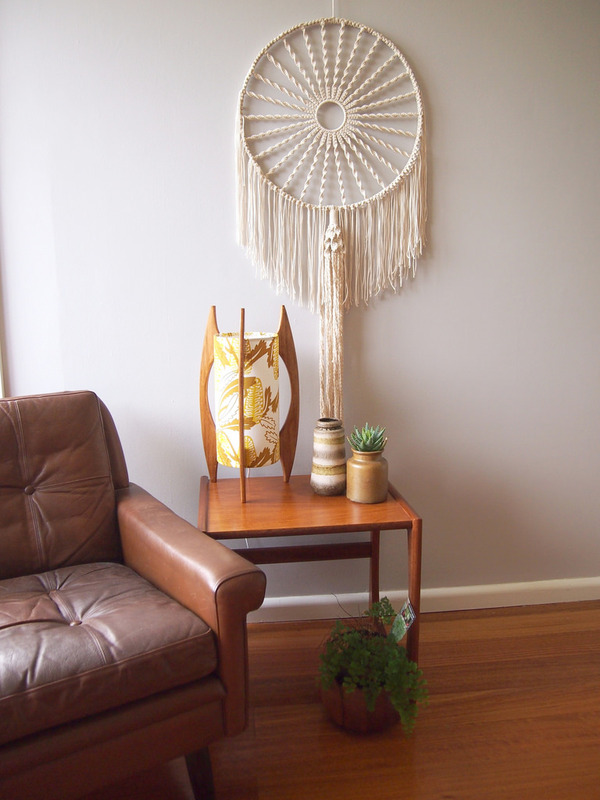 The tan-colored hemp along with the spiral pattern gives it a sophisticated appeal. 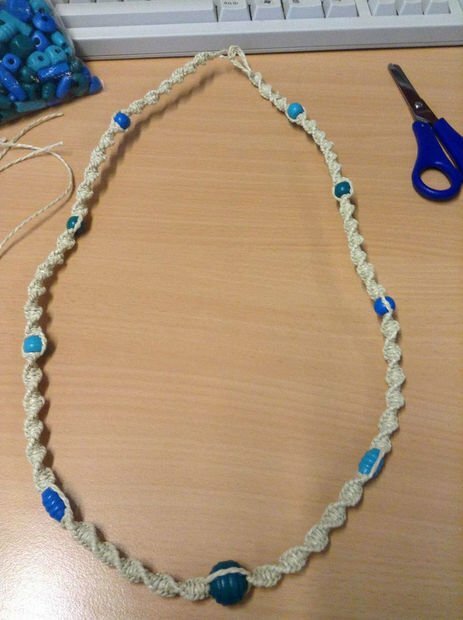 The blue dye contrasts the white part perfectly. 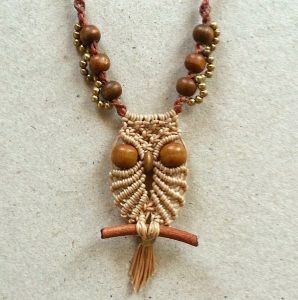 This fringe patterned necklace would be an absolute accessory choice for a casual Sunday outing with friends. The mesh pattern created here with the blue stone enclosed gives it a basket-like appearance. 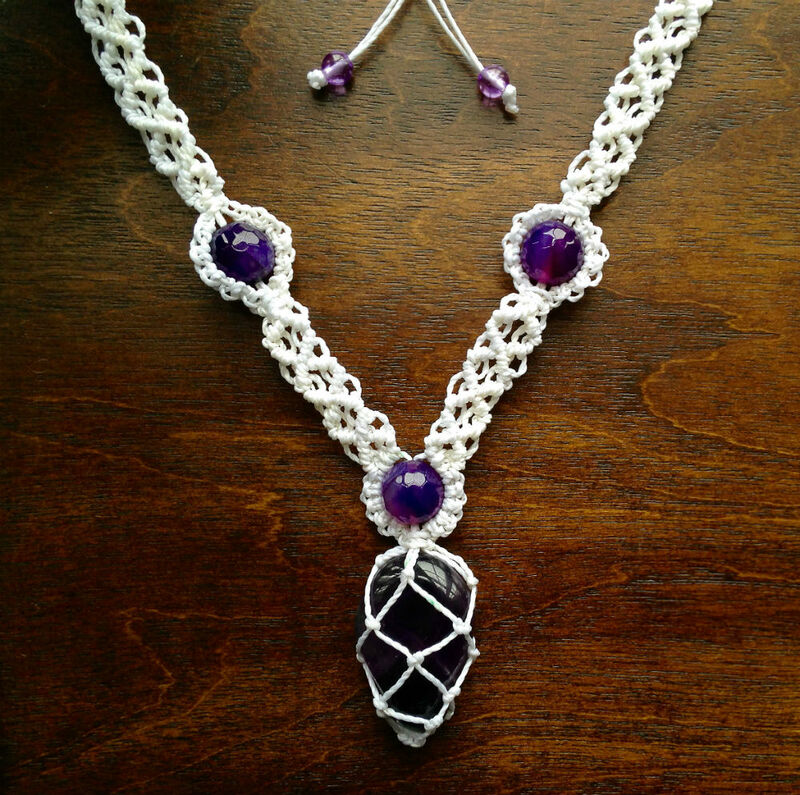 You may even embed a crystal instead of a stone. By following the steps in this video you can indeed makes this marvelous necklace studded with beads and diamonds, suitable to wear for any special occasion. 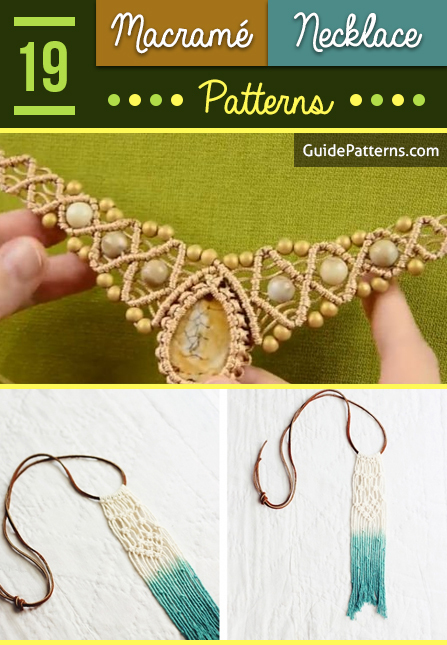 To get a casual yet classy look this bohemian-styled design would suit you fabulously. 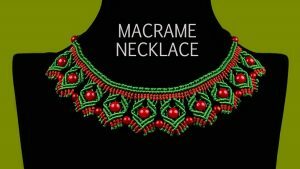 If you are planning to gift your bestie this elegant necklace on Christmas then alternately arrange green and red beads on the white hemp to create a festive look. 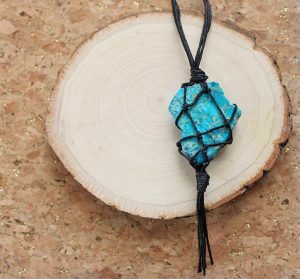 After having made the heart, you can string it into a black or leather cord or even a white twine. 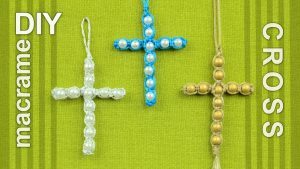 The gemstones studded on the polyester cord look unique. 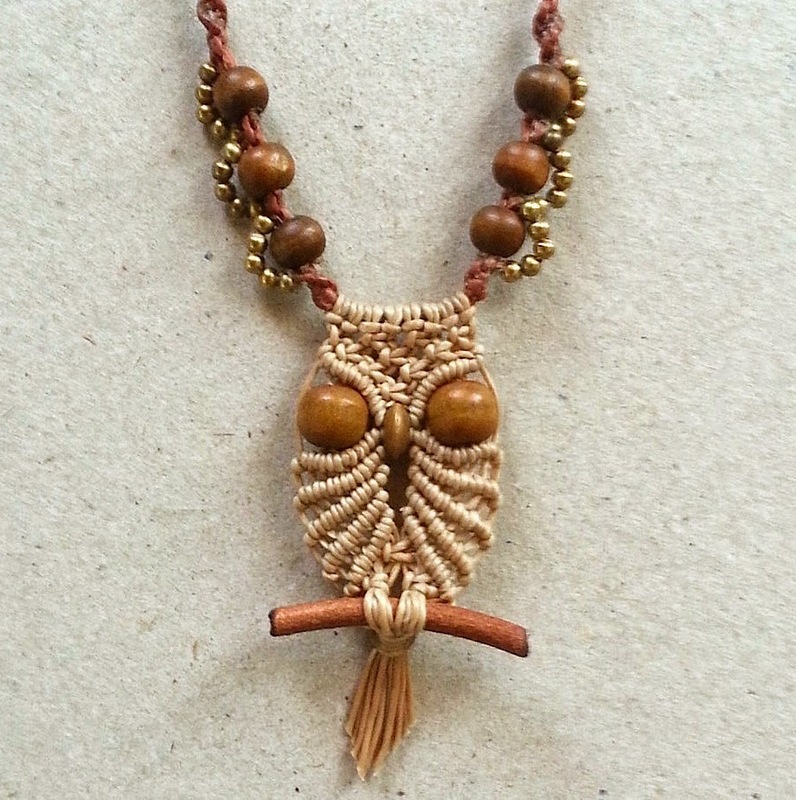 This tiny owl sitting on the branch is indeed a great neckpiece idea. If you have knowledge of the knotted designs involved in this pattern but is still a beginner as far as making it is concerned, then this pattern would be an ideal one for you. 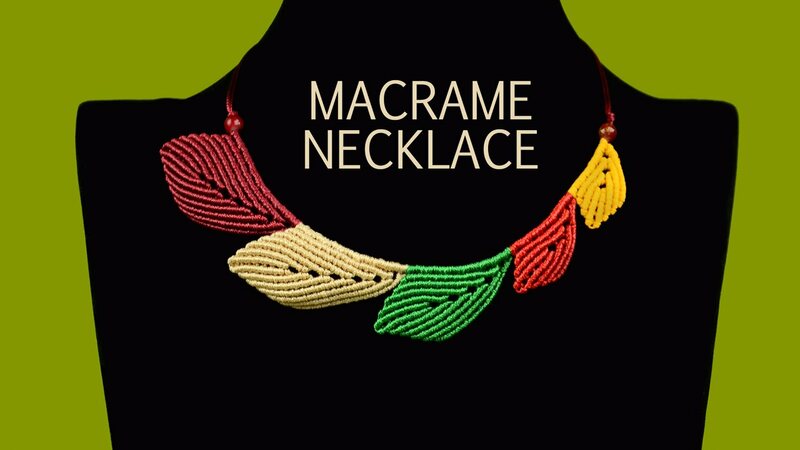 The array of colorful threads gives the necklace a magnificent appearance. 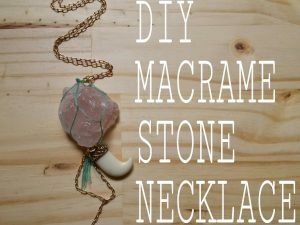 If you have colorful shells in your possession you can use them too instead of the stone. 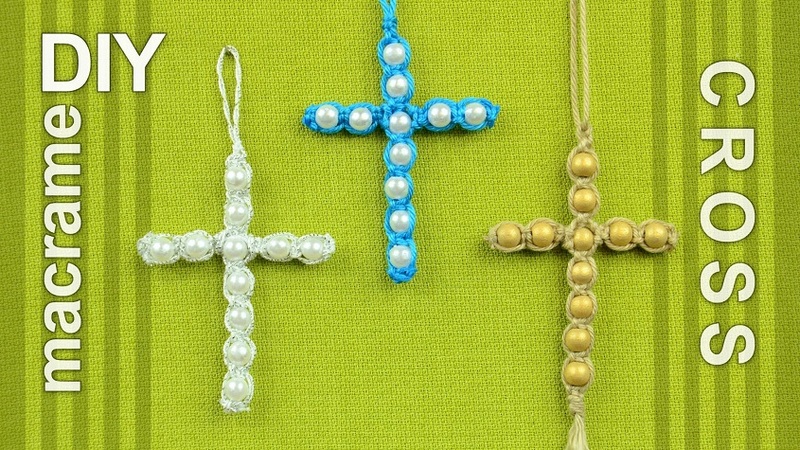 You can attach a black cord or chain to the cross to give it a necklace-like appearance. 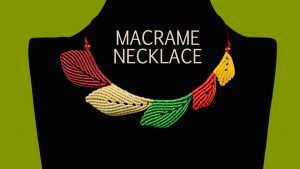 This leaf patterned necklace would be great for you to flaunt at the Christmas party. So with a choice of enticing necklace designs go for the ones that suit you the best. 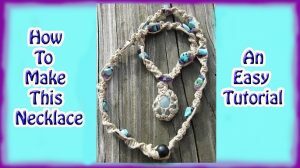 If this is your first stint with necklace making, try other variations like the ones made of rope, paracord, bottle caps, buttons…….and the list is never ending.